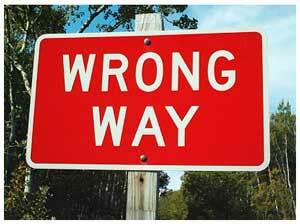 Wrong-way driving is the act of driving a motor vehicle against the direction of traffic. It can occur on either one- or two-way roads (in the latter case, arising from driving on the wrong side of the road), as well as in parking lots and parking garages, and may be due to driver inattention or impairment, or because of insufficient or confusing road markings or signage, or a driver from a right-hand traffic country being unaccustomed to driving in a left-hand traffic country, and vice versa. People intentionally drive in the wrong direction because they missed an exit, for thrill-seeking, as a suicide attempt, or as a shortcut. 1. Getting on the wrong freeway entrance ramp. 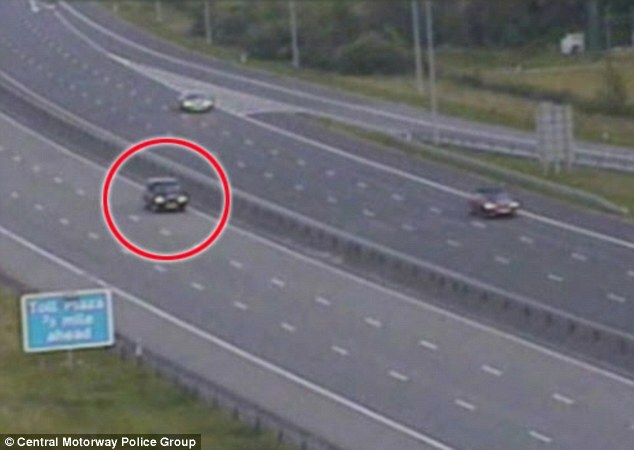 This is the most common occurrence of wrong-way driving when a motorist drives in the opposite direction of oncoming traffic that is either entering or exiting the freeway. 2. Turning on to one-way street in the wrong direction. This sort of car accident occurs many times in urban areas because downtown streets and metropolitan roads tend to have traffic flow in one direction instead of two. 3. Driving on the wrong side of the road or highway. After taking a wrong exit or getting your directions turned around, it is possible to find yourself going the wrong way.